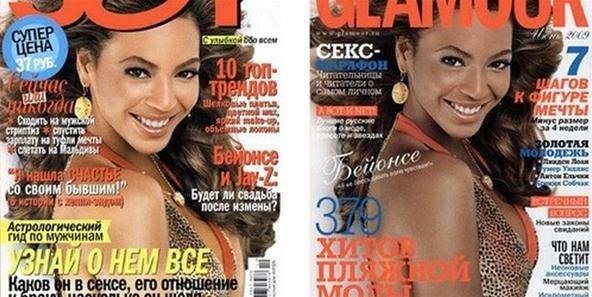 Apparently, Beyoncé wasn't white enough for the magazine on the left, so they gave her a caramel makeover. 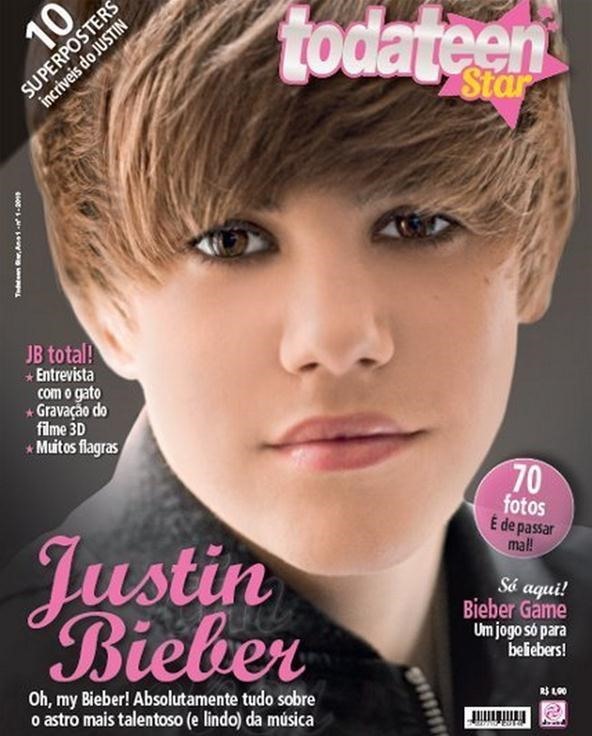 How did they make Justin Bieber look so masculine?! Either that or he has superpowers. I've always appreciated his body of work. Not many people are so excited about being so severely mangled. 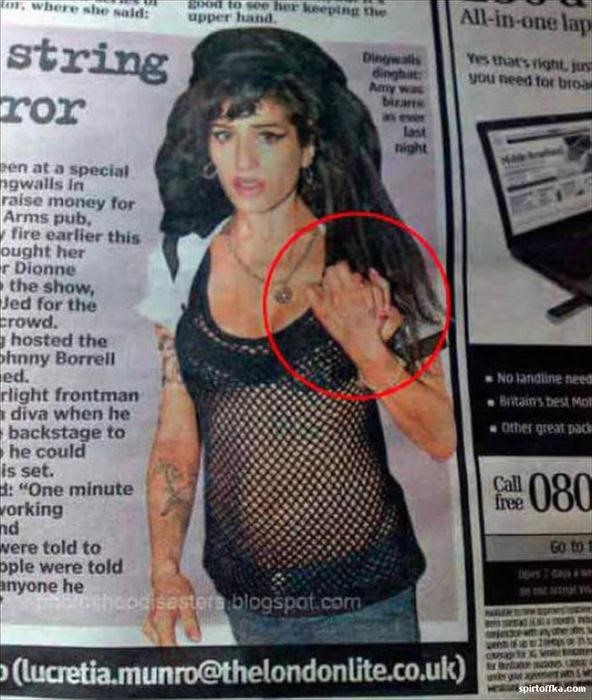 If you give her a hand. See if you can put your finger on this one. 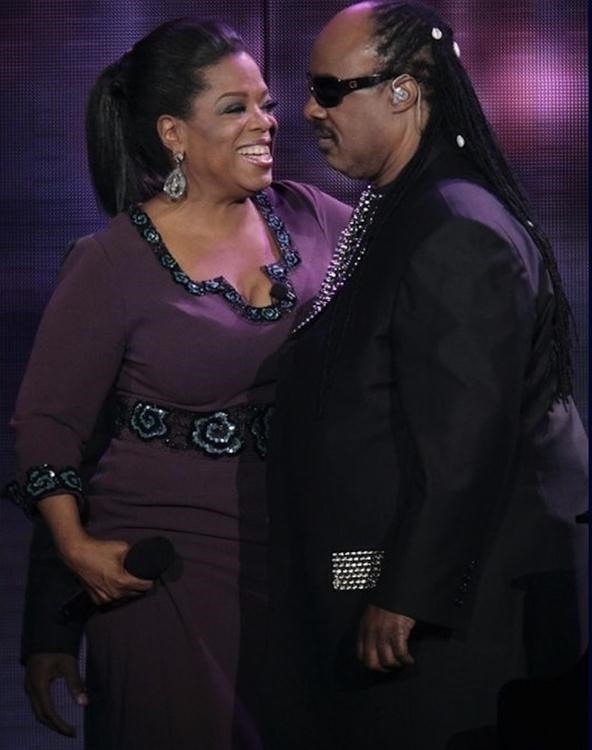 If you're a celebrity and feel you have been unfairly Photoshopped, please call 1-800-PHOTO-OP to receive a care package. But first, PLEASE post it on the corkboard as evidence! Also, check out our weekly competition and create your own version of our Hobo Advice image macro. Every entry will be read, laughed at, and praised with gusto by yours truly. My favorite retoucher in the WORRRRRRLD, Bianca Carosio, should of worked on these instead.